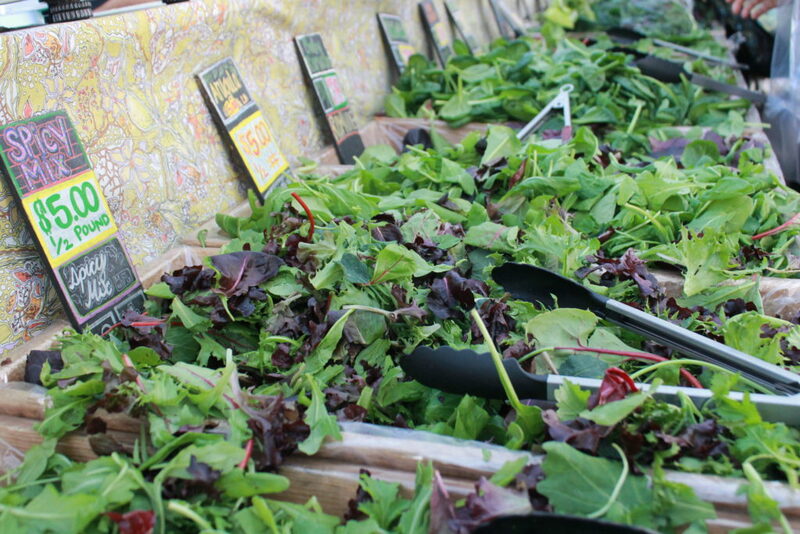 If you’ve gone to any Farmer’s Market in Los Angeles County in the last twenty-five years, chances are you’ve admired the beautiful greens selection of the infamous Maggie’s Farm. 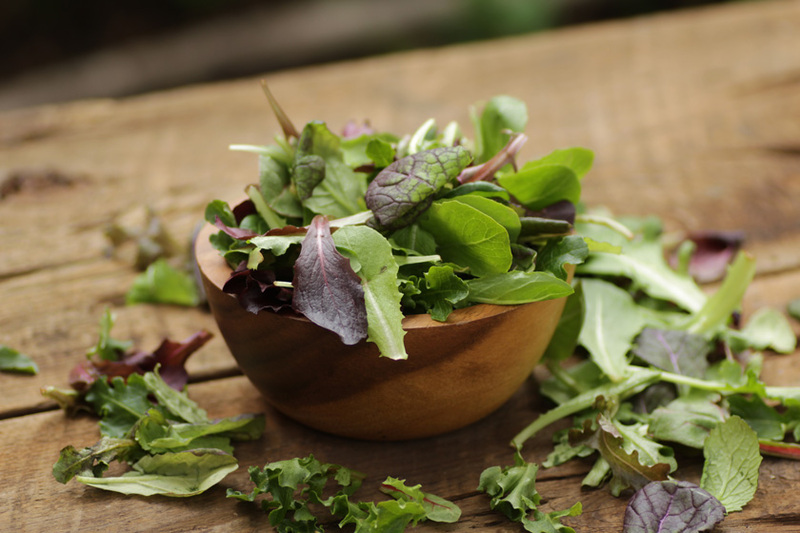 For many years, Maggie’s Farm, based in Agoura Hills, has sold top-quality salad greens and herbs only at farmers markets, which is why we are so privileged to sell their greens online to you. Maggie’s owner, Nate Peitso, is the son and stepson of Kenter Canyon Farms’ owners, Dennis Peitso and Andrea Crawford, who grew organic greens for commercial sale in Whole Foods and Bristol Farms. Dennis started growing baby organic salad greens in Berkeley yards in 1981 to sell to the world-famous restaurant Chez Panisse, where he met waitress Andrea and the two bonded over a love of great greens. They began to grow together (no pun intended) and called their seedling business the Produce Garden. In 1984, they moved to Los Angeles by invitation to grow for Wolfgang Puck in Venice. They later expanded to leased land in both Tarzana under the Kenter Canyon power lines (from which they took their farm name), and also in Agoura Hills. Maggie’s beloved Spring Mix, ready to eat. Dennis and Andrea divorced in 1989, and she later married a fellow Chez Panisse water, Robert Dedlow. Over time, those two expanded Kenter’s plantings to what they are now, with 390 acres in three areas of California. Dennis, however, had a more laid-back approach, splitting off his own portion of the business, which he renamed Maggie’s Farm after the Bob Dylan song. He grew his crops in Agoura, remaining as a small 10-acre operation. He soon developed a cult following at farmers markets, for both his greens and his amazing personality and life stories. When Dennis retired in 2008, he passed ownership of Maggie’s Farm to Nate, who had worked for both parents on and off. The control over Maggie’s allowed him to turn it into a career, and a passion. Most of the greens sold by Maggie’s are hand-harvested near the stem, for a cleaner cut and longer life than harvested leaves, Nate says. Maggie’s offers its own special blends, like its signature stellar mix, including red and green lettuces, marigold and calendula petals, dill, chives, parsley, and this delicious spring mix.